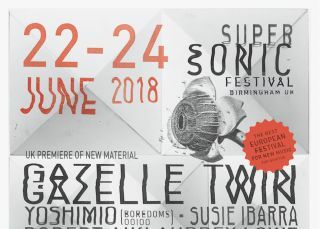 Organisers of this year’s Supersonic Festival have added more names to the 2018 bill. It’ll be held in Digbeth, Birmingham, on June 22-24, with artists including Wolves In The Throne Room and Gazelle Twin previously confirmed. Now it’s been revealed that artist and multi-instrumentalist Robert Aiki Aubrey Lowe will take the role of guest curator and he’s picked Yunohana Variations, Moor Mother, Wetware and Croww to play at the event. Lowe says: “For me, Supersonic festival has not only stood out from others of its kind by pushing its scope away from the one dimensional trap that is indicative of most music based festivals, but has programmed things people might not be aware of. “And due to the nature of the event itself, those in attendance tend to be open to investigate those things. Organisers have also revealed that Shirley Collins, Deafkids, Japan’s Goat, Group A, Joasihno and Terminal Cheesecake will also take part in the festival. Tickets are available through the official website, while the current lineup poster can be seen below.